Explosive sound. Effortless playability. And a price tag that you'll scarcely believe. 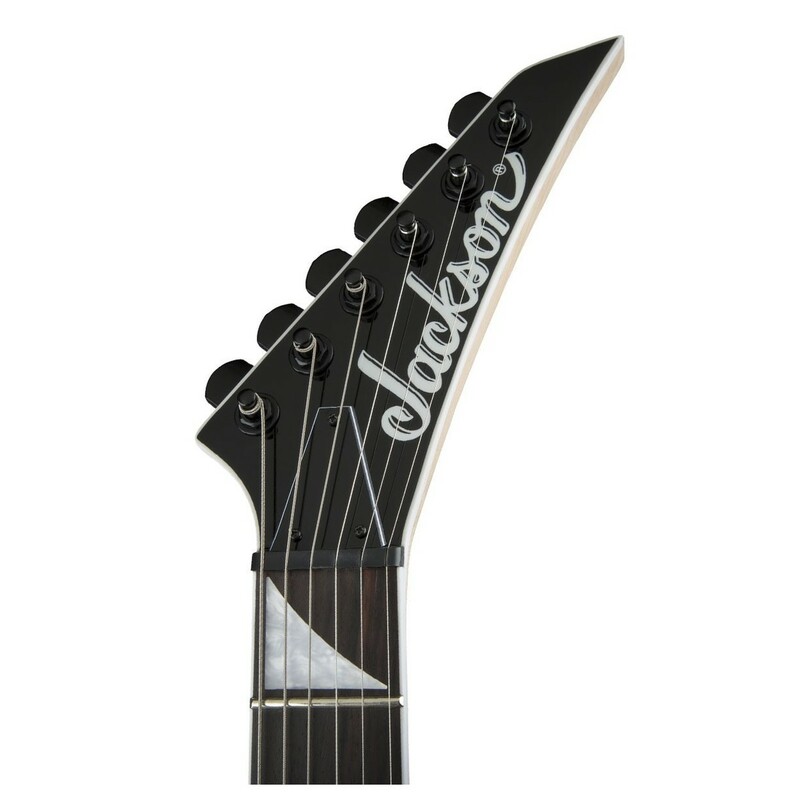 The Jackson JS32T King V brings a wealth of premium features into an affordable model that's destined for the stage. Top of that list of features is a pair of high-output humbuckers. These are designed to perform superbly at even the highest volume levels, meaning you can crank up your output without fear of feedback. Not only do you get immense power in the JS32T, you also get a guitar that's perfect for shredding. 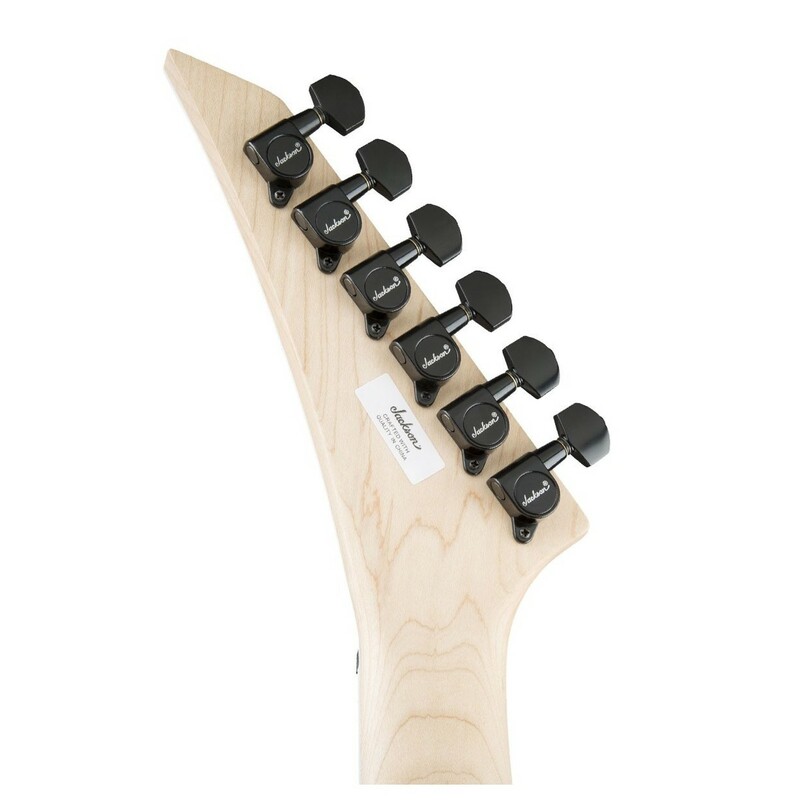 24 jumbo frets give you two full octaves to explore, and a satin urethane neck finish will help your hand to fly up and down the scale at high speed. 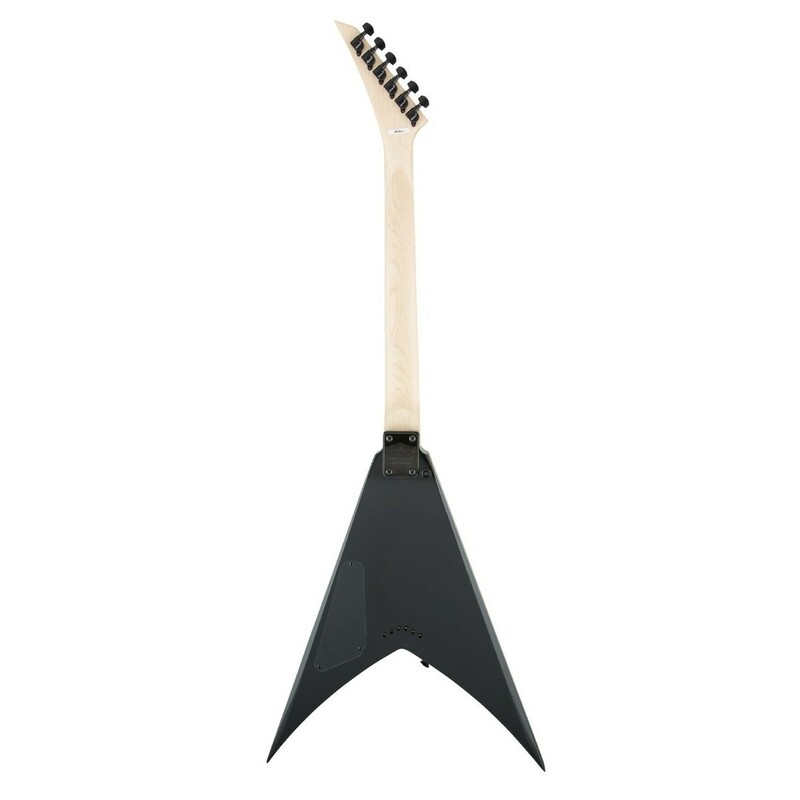 Add in a distinctive, sharp "flying V" body shape, and you've got the perfect metal guitar to take to the stage. Designed with soloing in mind. There's a lot of thought gone into constructing the JS32T King V. You can tell. Because when you play it, you'll enjoy a smooth, speedy, entirely natural playing experience. Your hand will be free to rapidly glide up and down the neck thanks to a slick satin urethane finish - ideal for dynamic, up-tempo playing. It's been crafted to ensure you can play with precision, no matter how fast your hands are moving. Jumbo-sized frets increase your playing area, meaning it's easier to hit every note. They're also great for string bending. And the sleek quality of the amaranth fingerboard is gentle on your fingers, so you can play on for long periods of time without soreness holding you back. An unapologetic shredding machine. It goes without saying. You'll never be able to perform properly if no one can hear you. Rest assured that this is never a problem you'll have with the Jackson JS32T King V. It's been loaded with a pair of high-output humbucking pickups. These will let you blast out your tunes at high volume without feedback - your audience will hear what you're playing fully and with clarity. And three-way switching means you can alter your sound to suit whatever you're playing. Own the stage. Be cool. This is a guitar with an aesthetic that's certain to make you stand out. 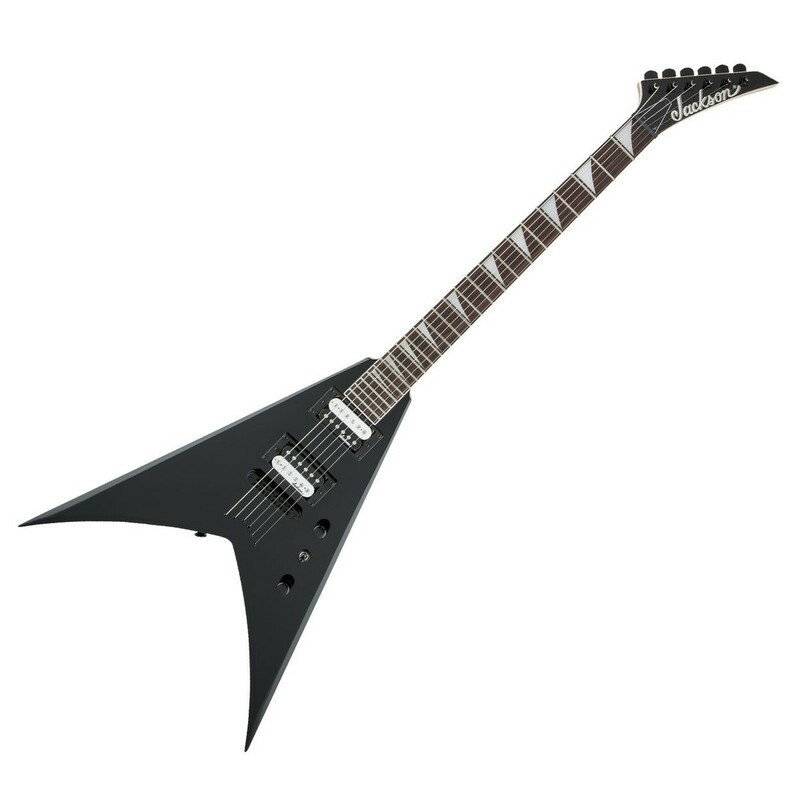 A sharp "flying V" body shape is aggressive and distinctive, hinting at the immense power that the JS32T possesses. Jagged sharkfin inlays in pearloid bring an extra touch of audaciousness to a unique instrument that'll look awesome on any stage. Dimensions: 5.9" x 23.1" x 51.25"